Wordless Wednesday Link Party and Giveaway!!! 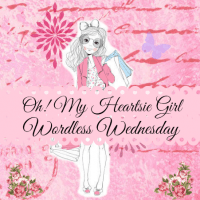 Welcome To The First “Oh My Heartsie Girls Wordless Wednesday” of 2015!!! We all wish you a Happy New Year For You and your families! I hope you show a warm welcome to our Co-Hosts for January WW, they all have fun and unique webites, with craft ideas home decor, recipes and family fun! 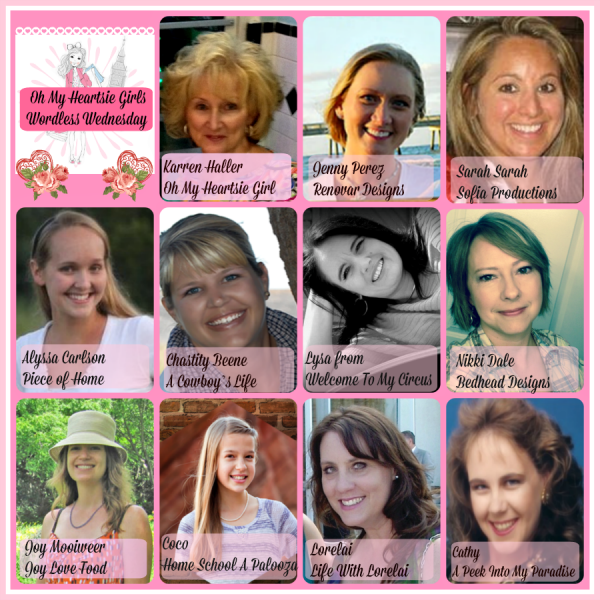 We have 11 bloggers all hosting this awesome Link Party and a Giveaway!!! Coco is offering a Printable Time Capsule Outline for your kids. created this printable for kids, but if an adult wants to do it too – great! This printable would be great for a party, everyone writing down their goals and favorite events from the past year to open and share in 2016. New Years Time Capsule Printable! Lucy (and I) have some explaining to do! Lysa shares a story about growing up watching her grandma cook with a pinch of this pinch of that, Lysa in her twenties started following her grandmother around writing down the pinch of this pinch of that and what those amounts really were. This is Jenny’s time to set up her Challenge and is inviting you to join in. This is one I need, one month-one room at a time. Check out her ideas and join in. Chastity shares a recipe for Baked Buttermilk Doughnuts with a new pan her husband gave her for Christmas, I think that was a huge hint!! There is nothing like family & friends for the holidays! Lots of company and guests! That means, hardly no time at all! This oatmeal bake can feed a crowd and leave everyone happy! Sarah shares how to survive the winter months with all the comforts you need to stay cozy with your family. The cranberries that are used to make this bread are local in Carlisle, Massachusetts and it’s only about a mile and a half from our house. The only changes to the original recipe that I made was to increase the amount of cranberries and to use fresh cranberries rather than dried. 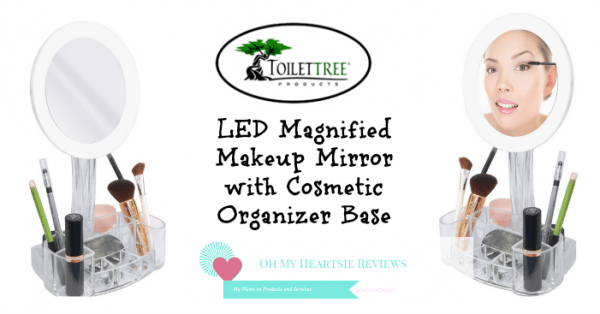 Karen, from Oh My Heartsie Girl would Like To Share A Product I have reviewed and to Offer One As A Giveaway A LED Magnified Makeup Mirror with Cosmetic Organizer Base Provided by Toilettree!!! Get excited!!! Because you can win one!!! ~ Grab our banner for your side bar or page, or link back in your WW post. Wait Before Your Add Your Link would you be interested in Co-Hosting In February? « How to make a chalkboard image using Picmonkey! Your blog is cute I love the header and the name you chose for it. I stopped by by from the Wordless Wednesday but will be back soon as I want to check other things out.